A biggie! Ambitious UID project may be shelved! This is big and something very unexpected – According to the story that has appeared in India Today, the ambitious Unique Identification Project may soon be shown the door by Parliament Committee. The reason given by the committee was – The UID project is directionless! This report is quite surprising given the fact that UID distribution started close to year back and few lakh of Indian citizens have already received their cards. Not only that, just couple of days back, there was news that UID card appointments will go online to ensure faster & seamless distribution of cards. But this particular news puts everything in jeopardy. The draft report prepared by the committee to trash the National Identification Authority of India Bill is ready and will be revealed on Thursday. The India Today report also goes on to say that decision to trash this existing bill was taken “unanimously” by Parliaments standing Finance Committee and some of the Congress members also agree to opinion that UID project is “directionless”! News does not cite any any names or people who have revealed this, so at this point of time, it may just be a rumour. Additionally, it says that the bill will not be trashed entirely, but needs a thorough review / reconsideration from the ruling Congress. The committee only states that it is not acceptable in present form. I am not an expert in parliamentary affairs, and it may be naïve to ask this – why this did not get discussed / raised / trashed when the bill was passed and christened “Aadhar” in December of 2010. For me personally, it is quite surprising – Infact, to plan and execute the project of UID’s magnitude is extremely difficult. Prima Facie, the progress made in last 3 years since launch is substantial to say the least. Also, having a person like Nandan Nilekani at helm of this project ensures far more possibility of successful execution of UID project. Whatever said and done, we will have to wait and see what this report recommends – at this point, the news is unsubstantiated and as such does not hold much strength. Would love to hear your comments on this – Let us know what you think? Indian Govt. proposes Free Medicine for all! Top 5 personal finance goals for singles in India! 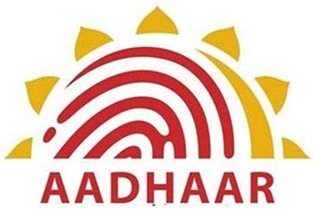 Aadhar UID: Is it a Sinister Ploy & Ultimate ID Theft? SMS will be used to send UIDAI’s Aadhar numbers! UIDAI’s Biometrics highly accurate, Scales to 10 lakh Aadhaar cards a day! Recently I came to known that Aadhar card is cancelled and new card ‘smart card’ has been introduced. I have applied for that too, meanwhile i received Aadhar card. i don’t know, which card will be acceptable as genuine identity card. Any has got any idea? If what is written above comes true, it will have impacts on many fronts. First of all, other nations will laugh at us saying that with so much tech savvy capability, India can not keep track of its people by way of a simple task called “identity card”. Secondly if any litigation experts wants, they can sue the govt for the money, time and effort spent on getting the cards and also can claim for loss of future planning based on the cards. What ever this govt is doing is hazy, directionless since it came back to power second time. All the policies are either introduced in haste and later revoked. Take the case of industry. Govt has brought a clasue that the companies should share 25% of the profits with locals / effected people. There is no clear definition of who should be the one to share the benifit. Only local petty politicians will benifit in the name of benificiaries. Take the case of FDI. Only a week back they were saying that there is no going back. Now they keep it in freezer. From the biginning they were wrong. Though it is a good development, govt only allowed it after rupee fell to record lows, just to attract few bucks. The policy was noble but their intention was cheap. In the end they fell to cheap pressure from opposition, unorganized retail mafia. They raised petrol prices and with in a week reduced them. If they are going to reduce, why did they increase in the first place? No one has any idea. I am not surprised when FIIs are bringing in money and pulling out in large quantities. They bring in money when they sence that govt has made a blunder and they can benifit from it. They pull out money when they see that govt has no options open to come out of mess. Vested interests are obviously at play. Why are they raising this issue after spending 550 crores and 3 years on the project? Most probably those opposing the project did not get their anticipated kickbacks and are also threatened by the UID project because it will bring in more traceability of illegal assets, land and money. Not acceptable..what was this committee doing when the project was being formulated..a big fail for the indian government machinery.